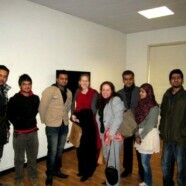 Rotaract Club FCC arranged an interactive session with US Consulate Representatives on Thursday, 19 January 2012. The topic of discussion was US-PAK Relations. Katie Kiser (Representative Cultural Affairs Office) and Leslie Goodman (Representative Information Office) participated in the discussion from the US Consulate. Students from the University participated enthusiastically and asked many questions. Since the student body at FCC comprises of students from all over Pakistan, issues concerning areas outside Lahore were also brought up. Both the students and the Consulate members found the session very fruitful in terms of gaining insight about the problems faced by Pakistan and how the United States can help solve them.